Aquafresh Commercial RO System is Delhi based Company. We are An ISO 9001:2008 CERTIFIED company with service center are available all over India. 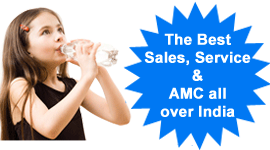 Aquafresh Commercial RO gives best deals in Industrial and Commercial Water Purifiers. Aquafresh Company Manufactures Genuine Ro Spare Parts, Suppliers & Exporters. Aquafresh Commercial RO provide you better deal in all types of Ro systems like:-Commercial Water purifier systems, Domestic Ro & Water Purifier systems, Industrial Ro systems, Residential Ro systems, & Official Ro & Purifiers systems. Aquafresh Ro gives you best prices in various Ro Systems, water filters, water Purifiers, Water Softener in All Over India. We are also deals in all types of Voltas Water Coolers. Aquafresh Ro Company Launching Refrigerator Water Purifier in Domestic & Commercial purpose. Aquafresh Ro provides 12 month warranty to your doorstep. We are also gives you quarterly 3 Ro service FREE-OF-COST in warranty period. We are provided under warranty Unlimited On-Demand Ro service without any Service charge. Reverse Osmosis systems used to remove toxins, bacteria, virus suspended solids and dissolved chemicals by the use of Membrane. We deal in Filmtech (Dow), C-FLO, CSM, Pentair, Vontrone. Our product are comprises Industrial RO Water Purifier Plant, Commercial Ro Pumps Spare Parts, Ro system all types of Spare Parts, Domestic RO Systems, Water Coolers. These Products are manufactured using top grade raw materials that are produced from the leading and certified vendors in the market. Our technicians ensure that they maintain all the machined in this unit in an appropriate manner so that our products are defect-free. Our goal is to provide “Quality Components “at reasonable prices, ensuring the best possible life span and maximum customer benefits for each product. We are providing technologically advanced healthcare product ranging from Multi Port valves (Manual & Automatic), Magnetic Water Conditioners, inline Filter Set, Membrane Special Inline filters, Filters housings, Water Purifiers, Membrane with housing, Ro kit, Ro booster pump, Commercial and industrial Water System, Domestic Water Purifiers, Accessories and Water Purifier etc.